Change! Ah, the mere mention of it elicits fear and a bunch of what ifs! No surprise there, though. We’re creatures of habit. Doubtful? Try changing a baby’s regular routine and see how well that goes for you. I guarantee that you’ll have one cranky little tot. We follow the same morning routine, go to the same cafe, sleep on the same side of the bed, drink the same number of cups of coffee (or in my case tea) each day, and the list could go on forever. Why? Because familiarity feels safe. We love to know what’s coming next so we can prepare for it and be able to deal with it. Change eliminates this predictability and takes us out of our comfort zone. One of my favorite, simply written but profound New York Times Best Selling books is “Who Moved My Cheese” by Spencer Johnson. It’s a constant reminder to me that whether change is initiated by you or someone else, your attitude towards it determines how well you will be able to manage and push through it. In this instance, change was triggered by my sister and I as we tried to figure out what spa to visit for our annual Mother’s Day spa day! See, for the past 5 years, we’ve gone to the same spa (except in one year we went to one of their different locations.) The experience has always been great, although our visit to their other venue did not meet our high expectations. 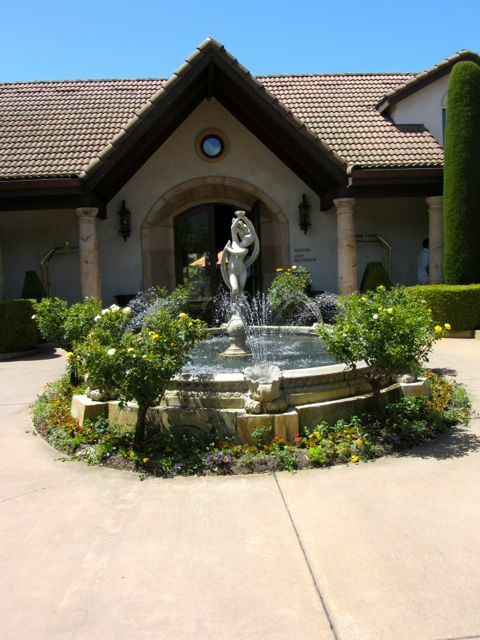 This year, we decided to change things up completely and not only go to a different spa, but also venture out to the wine country. It had been a year since we enjoyed a day of relaxation and pampering so we were giddy just thinking about the opportunity to feel rejuvenated once again. 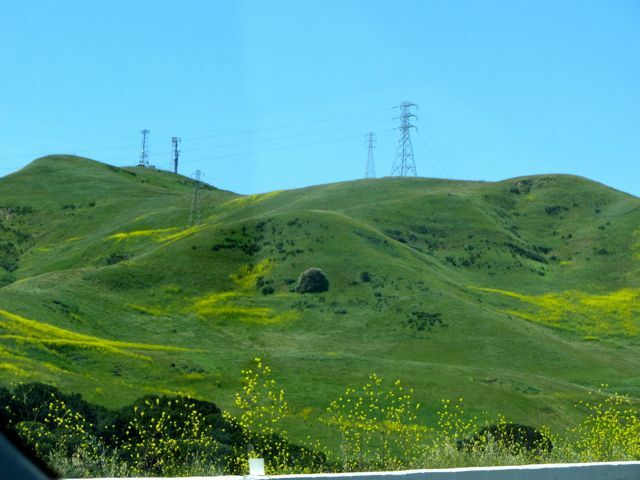 Beautiful landscapes along the way! 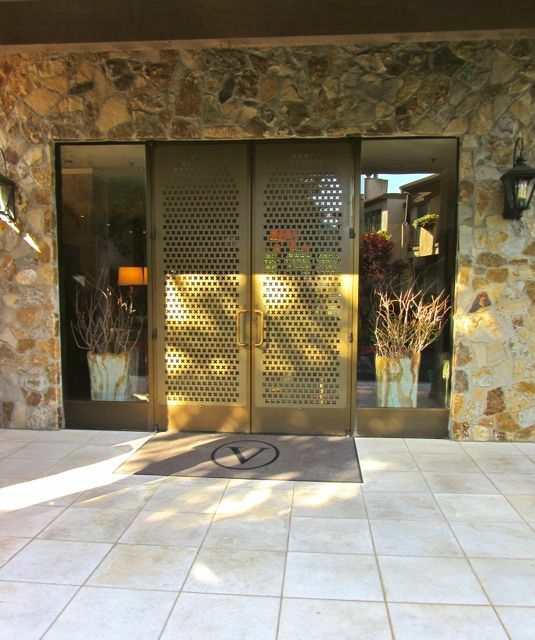 I found a great looking spa in Yountville, an affluent, quaint town in Napa Valley but as I prepared to make arrangements, the usual what ifs that come with change started popping up! What if the place was not as good as it looked (despite the positive reviews)? What if the people aren’t nice to us? After all it’s sure to be one of those exclusive communities. What if no one else looked like us? What if our one and only extravagant yearly treat to ourselves is ruined? Despite our anxiety, we decided to squash our fears and to deal with whatever our experience would be. Our mission: to not let anyone get in the way of our special day and to maintain a good attitude at all times. 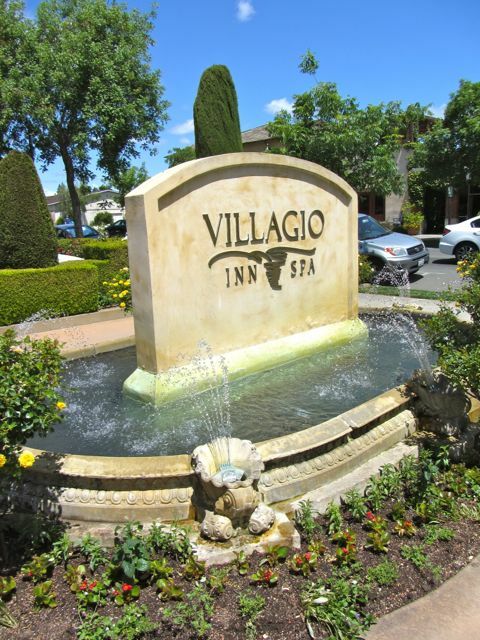 Let’s just say that all of these reservations were put to rest as soon as we got to Villagio Inn & Spa! From the gracious attendant at the hotel concierge and helpful manager who decided to not just tell us where to find the spa but actually walked us outside to point it out, to the front desk spa attendant who summoned someone to walk us to our lockers and friendly esthetician who offered us champagne after our treatments, our overall experience was superb! Our only complaint; we should have stayed the night! 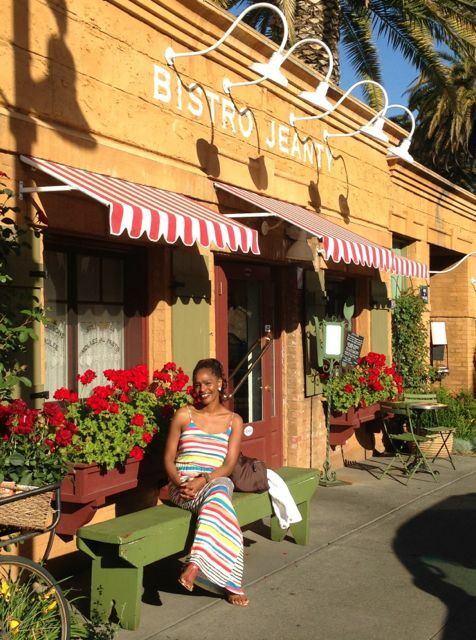 Dinner at Bistro Jeantry was no different! 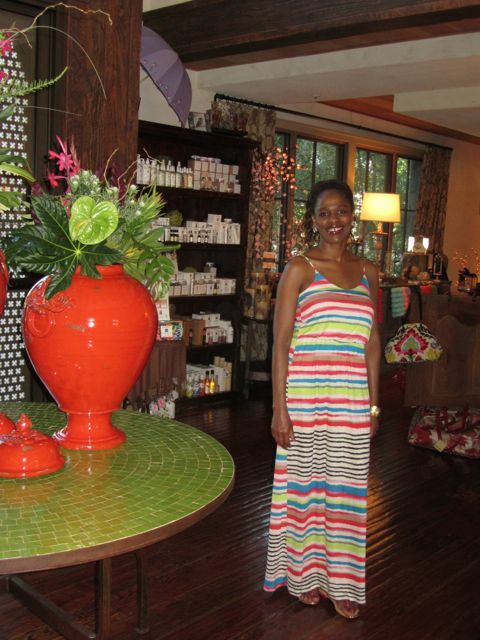 The restaurant staff were gracious, the food was delicious, and ambiance, simply fabulous! And to sweeten the deal even more, my sister surprised me by picking up the tab as her Mother’s Day gift to me. Woot! Woot! 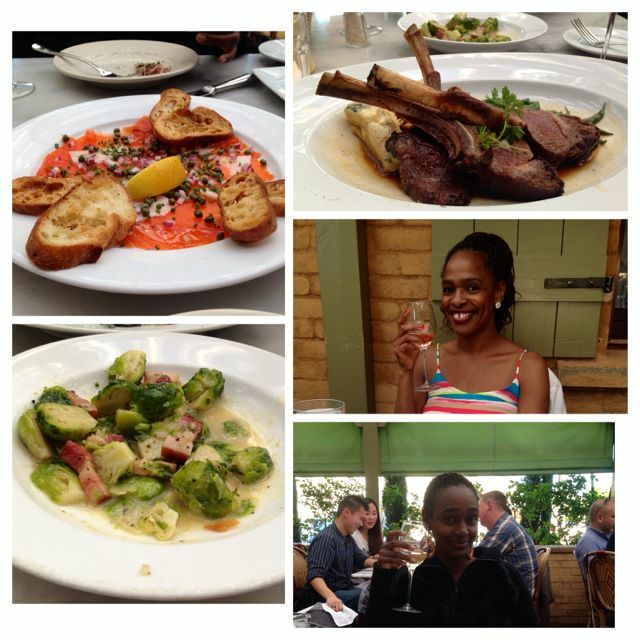 Sisters, good food, great wine, and superb service! What else could a girl ask for? We came away from this experience not just feeling rejuvenated but with a renewed sense of adventure! Who knows where we’ll end up next year? All I know is that it will be new and exciting. Post spa! How long can I keep this glow and feeling? RIP Dr. Maya Angelou. You will be missed. So go ahead! 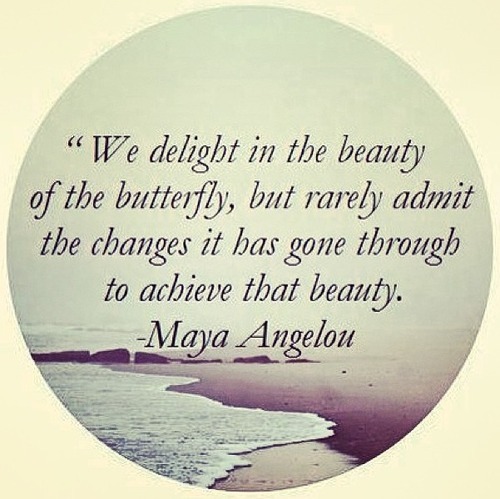 Embrace change! In the long run, you’ll be happy you did. How about you? What are your favorite books or quotes about change?